Rebel Yell Small Batch Reserve Bourbon is a popular Whisky available from TheDrinkShop in 70cl to buy online. Visit TheDrinkShop for the best price for 70cl of Rebel Yell Small Batch Reserve Bourbon or compare prices on our other Whisky products. The final evolution of the the award winning Rebel Reserve. Bold and flavourful, our new small batch is bottled in smaller batches to bring out the bourbon's best qualities. Tasting: Wheat presence softens the flavour as compared to rye bourbon, and is followed by hints of vanilla, wheat and oak. Nose: Complex with hints of caramel, oak, vanilla and brown sugar. 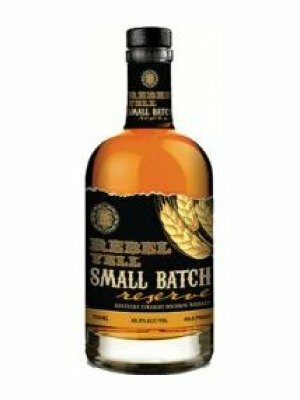 Where to buy Rebel Yell Small Batch Reserve Bourbon ? Rebel Yell Small Batch Reserve Bourbon Supermarkets & Stockists. You can buy Rebel Yell Small Batch Reserve Bourbon online in most retailers and find it in the Whisky aisle in supermarkets but we found the best deals online for Rebel Yell Small Batch Reserve Bourbon in TheDrinkShop, Amazon.co.uk, DrinkSupermarket.com, and others. Compare the current price of Rebel Yell Small Batch Reserve Bourbon in 70cl size in the table of offers below. Simply click on the button to order Rebel Yell Small Batch Reserve Bourbon online now.